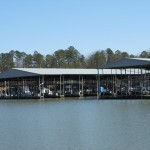 Burr & Cole has over 20 years of experience in working on the Marina at Pickwick Landing State Park. We were the prime designer for the Marina Master Plan almost 20 years ago. 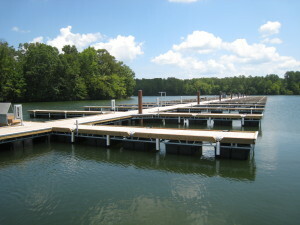 Since that time, we have been involved in numerous projects at the Marina, including a Courtesy Dock. 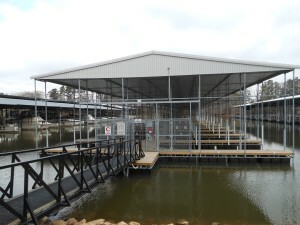 Burr & Cole was the Prime Designer for this project that was the design and construction of a floating dock and anchorage system for a Courtesy Dock at the Pickwick Landing State Park Inn. Our scope included approach walks and an ADA accessible ramp. Burr & Cole was the Prime Designer for a significant repair and upgrade to the Marina. 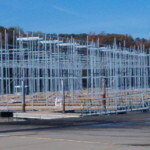 We provided design, bidding assistance, and provided construction administration for upgrades at slips B, C, & D. The existing slips were covered and needed upgrading because of roofs leak, purlings, rusted and weak posts; and outdated utilities, and flotation. The walkways needed replacing as well. This project required the replacement of over 80 slips but we were able to reuse 30 existing slips built in previous phase. 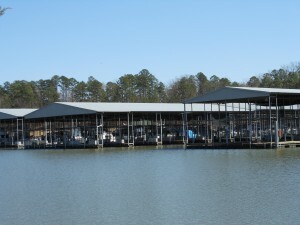 As Prime Designer, Burr & Cole was employed to prepare a master plan for the future development of the Pickwick State Park Marina. The master plan explored plans and costs for several options for development of the harbor area. Considered in the study were demand for boat facilities, all aspects of movements of boats, people, vehicles, dredging requirements, mooring, parking, utilities, wave action, and support facilities. 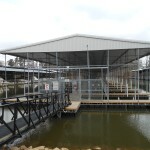 With the new Courtesy Dock, we again had the opportunity to be Prime Designer for a significant project at Pickwick Landing State Park. 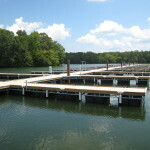 This project was the design and construction of a floating dock and anchorage system for a Courtesy Dock at the Pickwick Landing State Park Inn. Our scope included approach walks and an ADA accessible ramp. Our design required the clearing of stumps and contained lighting and power.